For the fashion-conscious, the arrival of spring in Paris means that it’s out with the winter wardrobe and in with the spring one. The same goes for stews. Forget your winter boeuf bourguignon, it’s so last season! 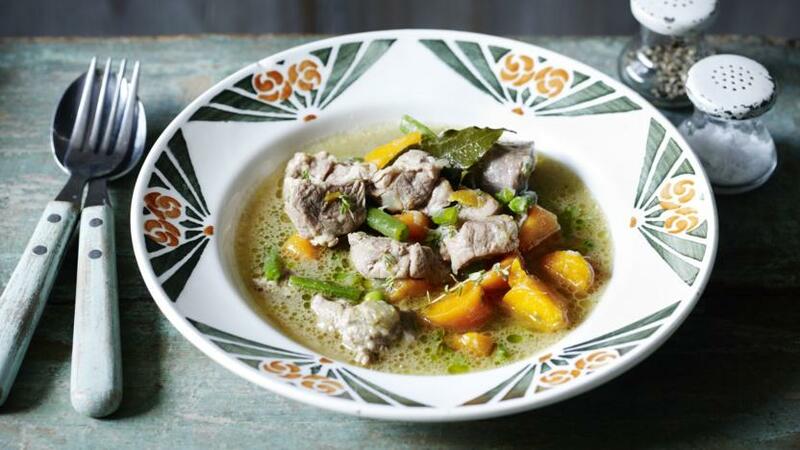 Navarin d’agneau printanier, a lamb stew with fresh vegetables, is what should be bubbling away in your kitchen. Heat the olive oil in a large flameproof casserole (cocotte) and brown the meat, garlic and onion. Add the bay leaf, thyme and carrots, and enough water to cover the meat by at least a couple of centimetres. Bring to a simmer and remove any scum that rises to the top. Once all the scum is removed, cover the pan. Cook for 1½-2 hours, or until the meat is tender. Five minutes before serving add the peas and beans to the lamb. Cook until the vegetables are tender. Season with salt and freshly ground black pepper to taste, and serve straightaway. For an English twist, serve the stew with some mint sauce.